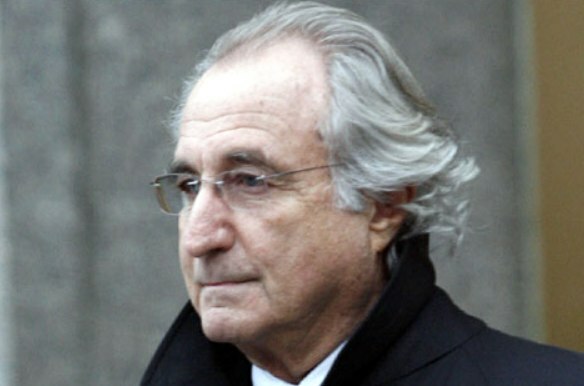 Bernard “Bernie” Madoff, the mastermind of the largest Ponzi scheme in US History, is now well into his fourth year at Butner Medium Security Prison in Butner, North Carolina. As many will recall, Madoff made off with billions of dollars taken from thousands of clients who trusted him to invest their money in various fake accounts. This resulted in some people losing everything they had. His “clientele” included the rich just as well as the poor slobs who slaved away and socked some money into retirement accounts—he was not choosy as to whom he flim-flammed. As a result, he was sentenced to 150 years in prison. For the first couple of years, he tried his old tricks with his inmates, swindling their cigarette and tattoo money out of them by promising to hook them up with outside brokers to “get in” on the penny stock market. Unfortunately, one of the inmates who could read found out that Bernie’s sentence included a restraining order whereby Madoff could not come within 10 feet of anyone and their money, and he (Madoff) escaped narrowly with his life. This pretty much led to self-confinement to his cell 24/7, with time out for meals. With nothing else to do with his time, Madoff scored a counterfeit Mont Blanc fountain pen and took up writing poetry. His prose has become a hit with the prison staff as well as with his bunk mate, William O’Henry. “His stuff is good,” said O’Henry when asked if Madoff had any talent writing poetry. “When he reads it to me, I sometimes get all tingly, like I could easily fall in love with him almost.” For this reason, much of Madoff’s works have gone unread. Evidently, Madoff is writing sonnets to rap songs. In fact, he has sold a couple of raps to prisoners who dream of becoming contestants on America’s Got Talent once they’ve served their time. Another of his “clients” has commissioned Madoff to write a good old-fashioned country song, which Madoff admits is a bit out of his realm of life experience, but is willing to give it a shot. as I sit in isolation. for an occasional can of shaving cream. Taking for myself and screwing the rest. While the words intimate that Madoff doesn’t seem to show any remorse for his dastardly deeds, he certainly does show a great rhyming skill. And, if all goes well, he’s even considering putting his poems in book form and calling it “Life in Prison: A Book of Sonnets,” by Bernard “Shaw” Madoff.